From the journal of Captain Henry Thompson, April 6, 1814. Courtesy the Friends of Clifton. 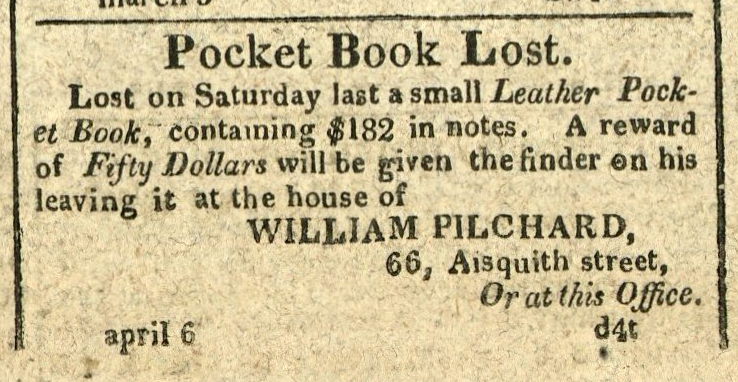 Advertisement: Pocket Book Lost… containing $182 in notes.